Fleet consulting is the process of advising how to achieve fleet objectives. Who is the typical fleet consultant and what kinds of objectives do they work on? There are two ways of providing fleet consulting services – internally and externally. For internal consultants, these are superstars from within the organization that work on projects. As well, some companies hire outside experts to help achieve objectives. Productivity. Drivers are not like office workers. Since drivers are working remotely, one fleet objective is making sure workers are productive. Safety. Road accidents can happen. As with any fleet, a big objective is to minimize safety risks. Fleet costs. Fleets have high operation costs. Some of the biggest categories include fuel and maintenance. Compliance. Some companies fall under certain regulations. As well, companies might have to comply with customer contracts. As we can see, fleet consultants need to attend to a lot of different areas. 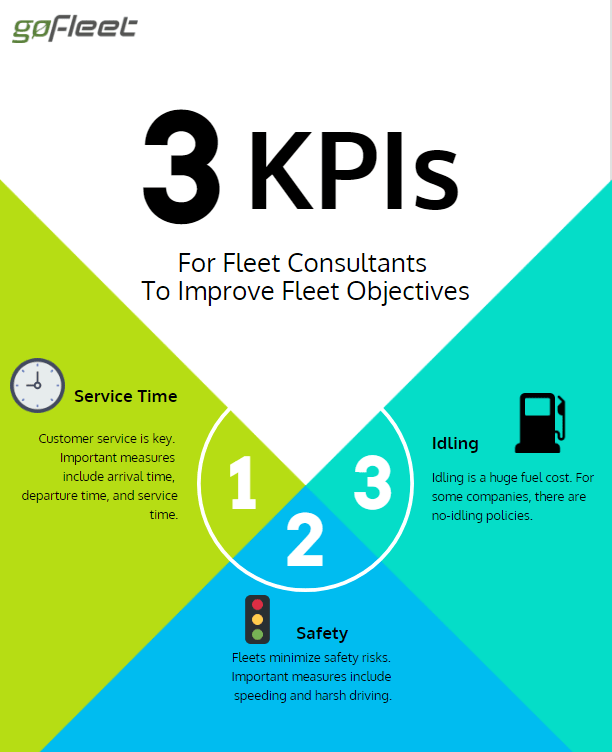 For this reason, fleet consultants created and looked at KPIs. KPIs are the most important numbers to collect and use when giving advice. 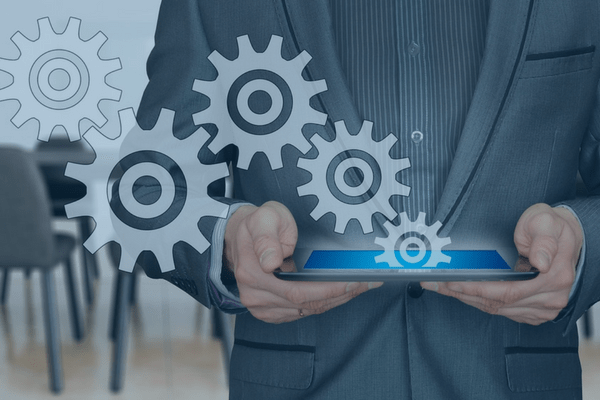 A common KPI for fleets is service time. This might include arrival time, departure time, and on-site time. For fleets, especially those in the service and transportation industry, customer service is important. Fleets must ensure that drivers are arriving and leaving at appropriate times. A great tool to collecting customer service KPIs is setting up geofences. Geofences are zones that can be tracked. With geofences, fleets are able to track customer sites and get service reports. Identify rule-breakers. Consultants quickly found drivers who did not follow company rules. In one company, they found technicians who spent more time at coffee shops than at customer sites. This allowed the company to improve customer service by replacing rule breakers with trustworthy drivers. Identify utilization. Utilization reports can be created from service data. In this report, consultants can check how many hours or miles each drivers drove in a day. This report held drivers accountable and productive. Another big KPI is monitoring safety reports. Although safety policies may vary with the company, some of the common reports include speeding and harsh driving. In order to monitor driving behaviour, fleet safety consultants create exception reports. Exception reports are custom created rules. For example, for some companies, speeding might be defined as driving at any speed over the limit. In other companies, there might be a bit of a buffer. After rules are set, fleet consultants can collect data and make decisions. Create training plans. Consultants are able to see areas where some or all drivers had poor performances. This allows consultants to provide targeted training. For example, one company noticed that a shocking number of drivers did not wear seatbelts. The company then created new seat belt policies. Engage safe drivers. Consultants were also able to identify terrific drivers. In some companies, consultants successfully implemented a bonus system to reward good driving behaviour. This kept drivers happy and motivated to stay safe. One for the biggest areas for minimizing fleet costs is controlling idling. Idling is a significant waste of fuel. For some companies, there are no-idling policies. In order to collect idling data, fleet management consultants create another exception report. They would identify criteria that would be considered idling. For example, one company defined idling as any time over 3 minutes. Identify which drivers to train. Consultants were able to identify drivers who need training. 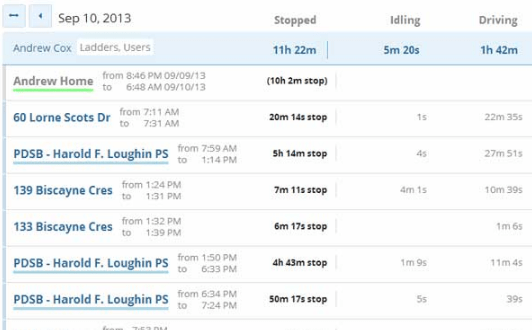 With detailed reports, they targeted and trained drivers to stop idling. As a result, the fleet saved a huge portion of fuel costs. Create a proactive process. Rather than using reports, some consultants opted to create live alerts. Whenever a driver idled, their supervisor would receive email alerts. Supervisors can then remind drivers to shut off their trucks. Looking for more KPIs? 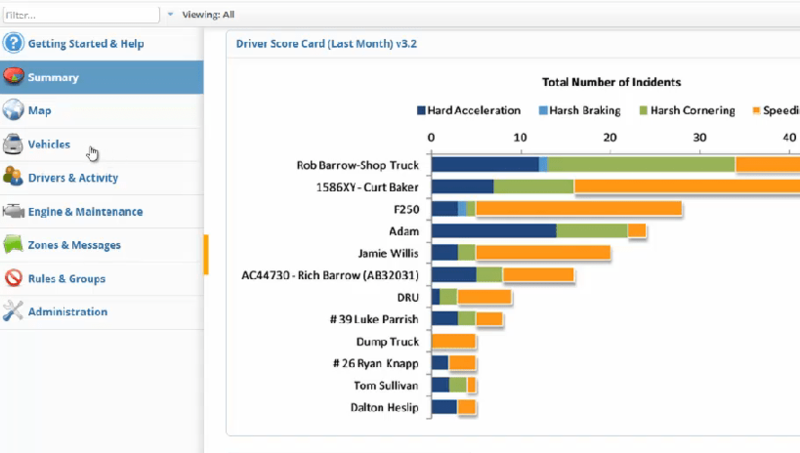 Book a demo to learn about more KPIs for fleet consulting.